My name is Amanda, or Mandilu to my family, and I love to sew. My first love was cooking, but we had to break up. The better I became at cooking (mostly sweet treats) the better I became at eating. In an effort to eat less, I needed to try on a new hobby. My mother was always making something with her sewing machine when I was kid, but I hadn’t made anything in ages. What I found when I started sewing again was a new passion. Who knew someone with an accounting degree could be so creative ;). I am still working on my sewing skills and my focus is bags and fabric crafts. 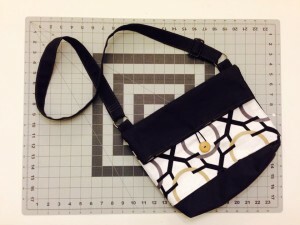 I hope you will enjoy my Blog as I document my love of fabric and the art of sewing.